No matter how “cool” automakers think they’re making the sub-30,000-dollar econoboxes, the reality is that most economy cars are utilitarian, practical and just plain boring. While the hot hatchback phenomenon has begun to spread from Europe to the States, many of these cars settle for low-rent interiors and a harsh suspension at the expense of sheer performance. Although the younger generation might enjoy the rough ride of stiff suspension and a noisy exhaust, not everybody wants an obnoxious box. Can a hatch with a supple ride and polished appearance still be hot? 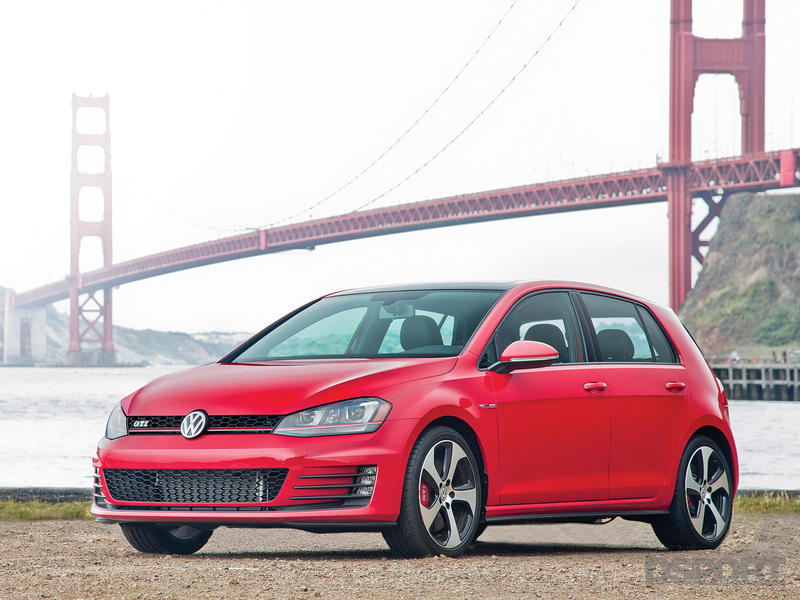 The 2015 VW GTI SE asks this exact question. 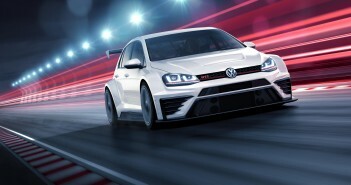 Now in its seventh generation, the GTI utilizes the MK7 Golf’s new platform, dubbed “Modularer Querbaukasten” or MQB for short. This modular chassis design standardizes one element across nearly sixty of VW’s and Audi’s transversely-mounted engine platforms: the distance from the front axle to the firewall. While just a small portion of the vehicle, this area is highly imperative to both vehicle assembly and crash protection. By streamlining this section of the vehicle, MQB represents a huge savings in development and assembly costs. 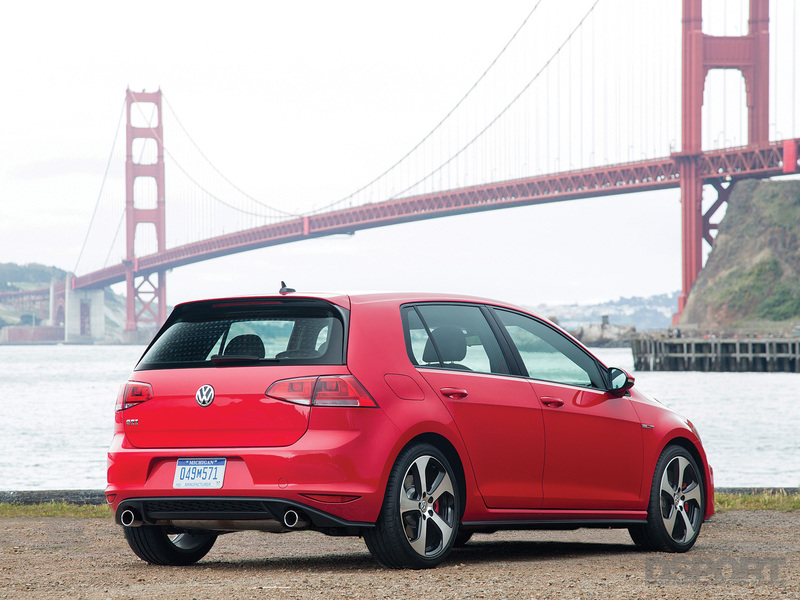 For the MK7 GTI, its MQB underpinnings translate to a stronger and more rigid chassis. An increase of high-strength steel, from six percent to 28- percent, also helps to create a stiffer unibody and reduce overall curb weight. However, don’t mistake stiffness for a harsh ride. Increased chassis rigidity actually makes the ride better as the suspension can work more efficiently. Like many new cars, the GTI allows the driver to select between normal and sport drive modes. In normal mode, the GTI remains relatively quiet and plush. Once the driver selects sport mode, the electric-assisted variable steering rack quickens up. The throttle becomes more responsive and the engine sound becomes amplified in the cabin. 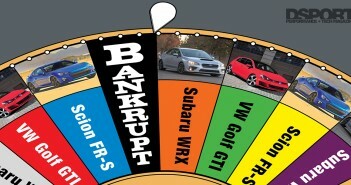 However, none of this disturbs the supple driving experience. 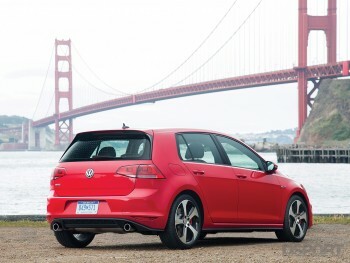 On the highway, the MK7 GTI felt both poised and responsive. Despite the 0.6-inch lower ride height compared to the standard Golf, the GTI hasn’t sacrificed any ride quality at the expense of performance. The chassis exhibits zero clunks or squeaks. Our test vehicle, equipped with the $1495 Performance Package, came fitted with a mechanical limited-slip differential. Thus, whenever we put the GTI into a tight corner at speed, it handled predictably and without fuss.